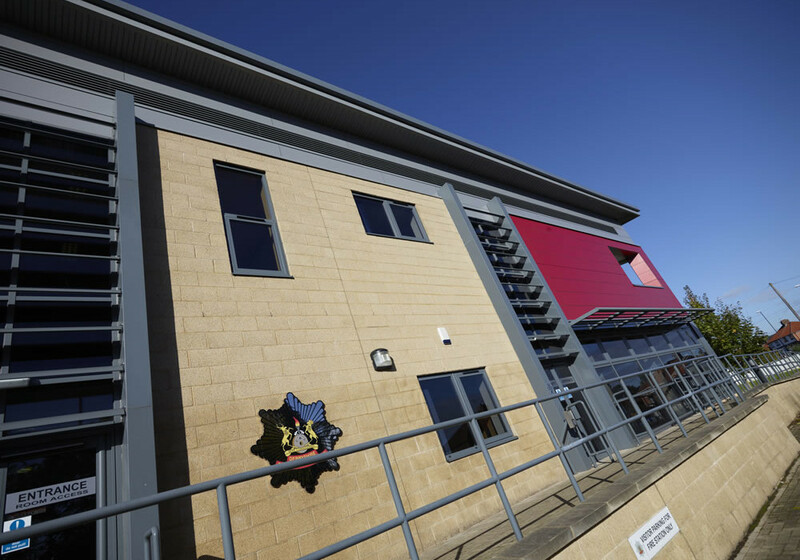 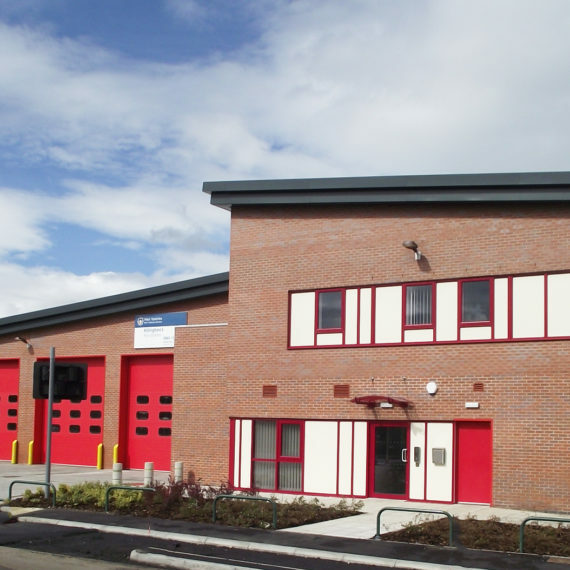 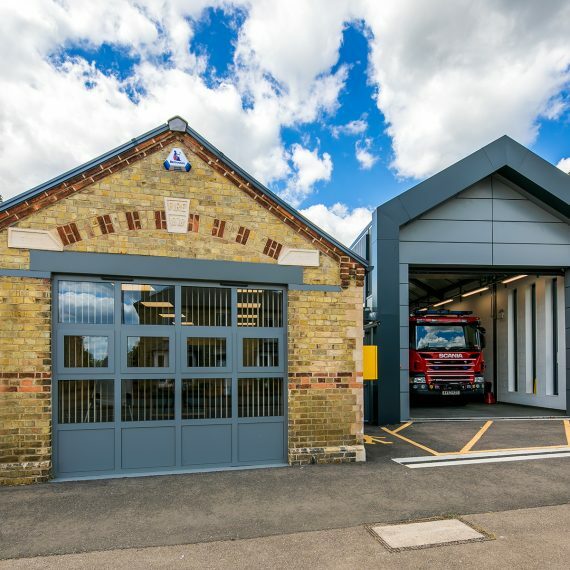 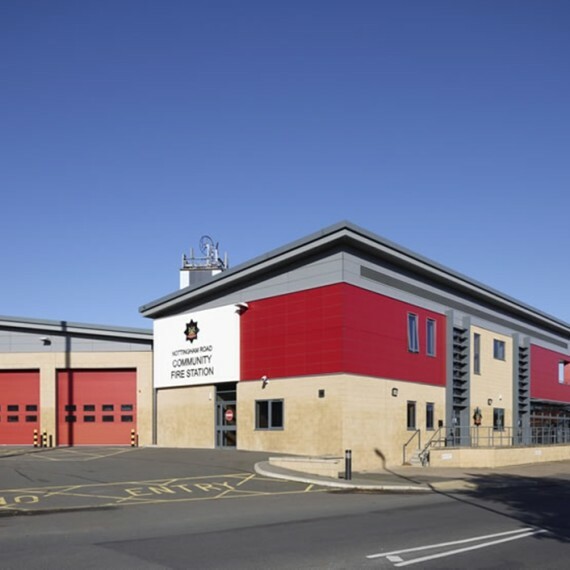 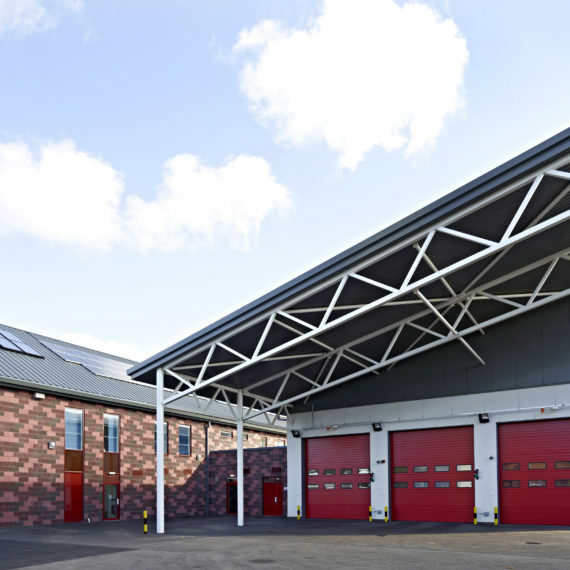 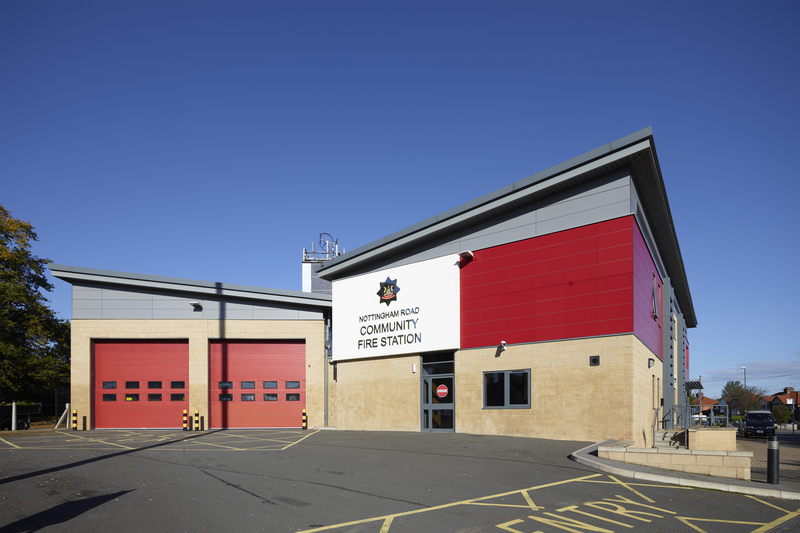 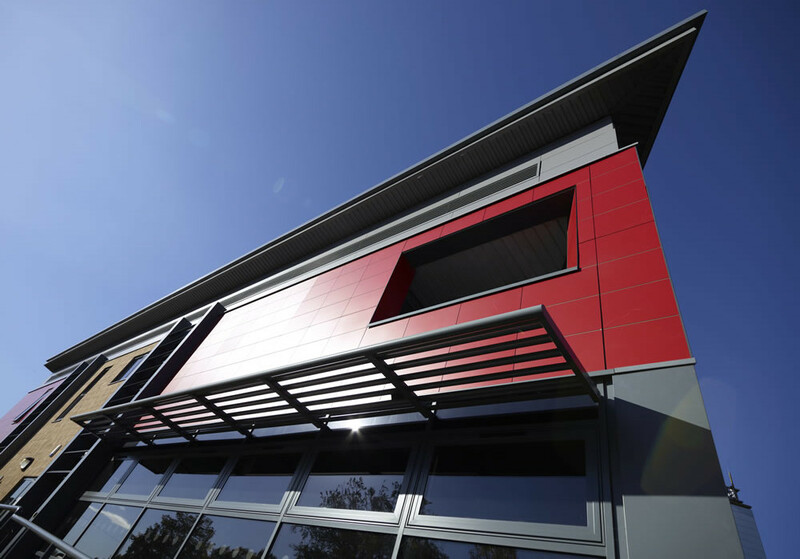 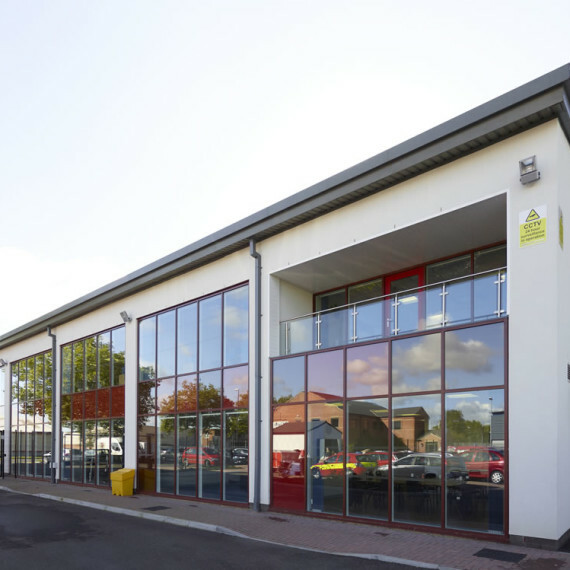 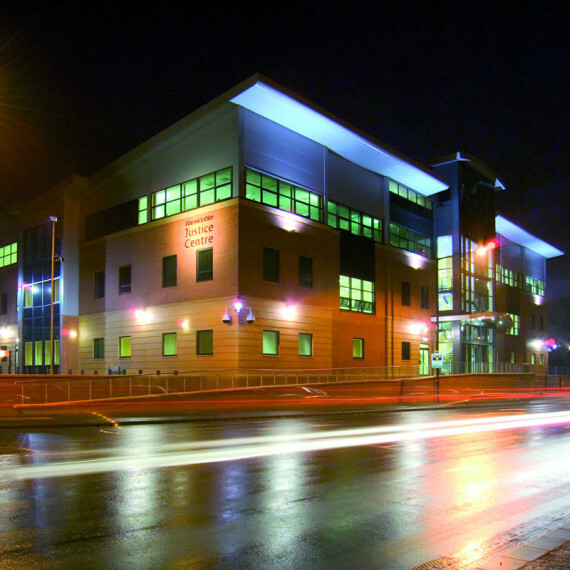 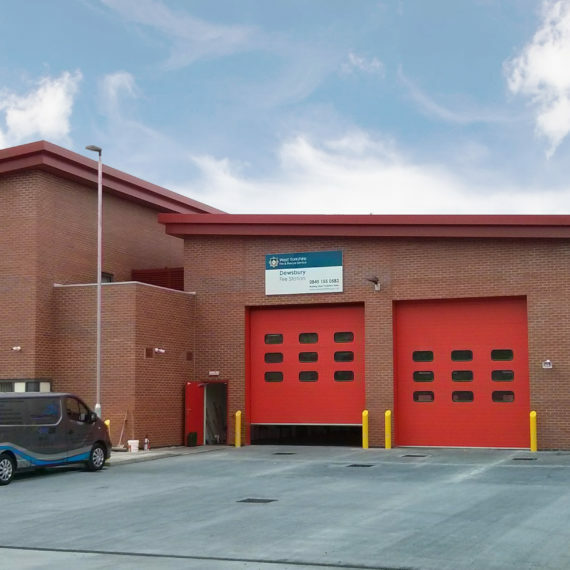 Nottingham Road Fire Station which is located in Derby, is a two appliance fire station with all the supporting technical, admin and social spaces with the addition of community facilities. 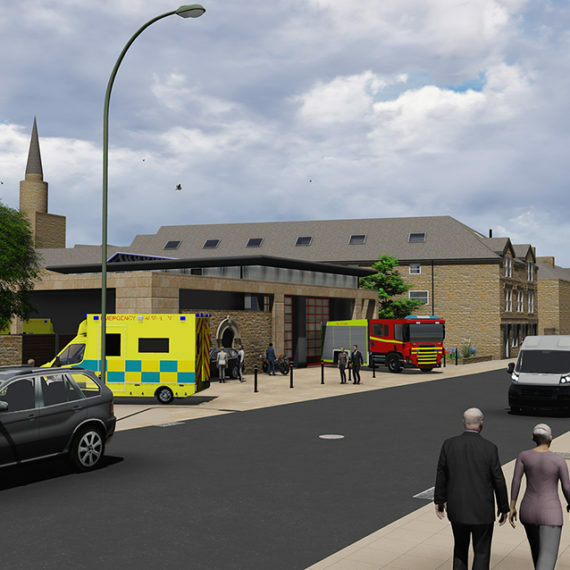 As the location of the existing station was ideal for a “Community Station” the existing buildings were demolished to make way for the new high profile station with enlarged community facilities integrated into the design. 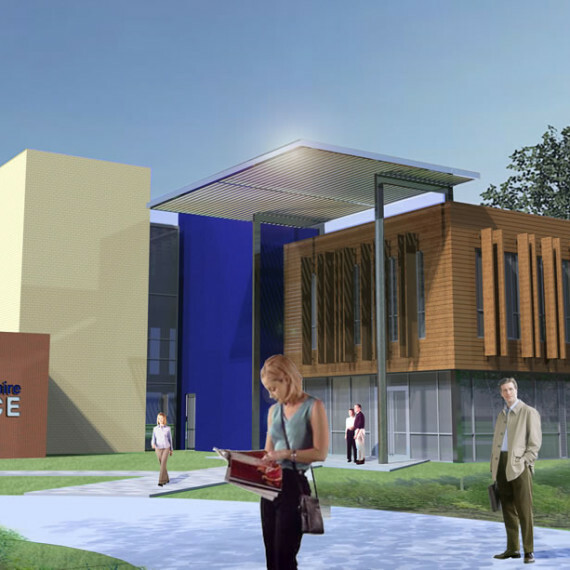 The community/lecture room, with its own separate entrance, occupies a prominent location at the corner of the building. 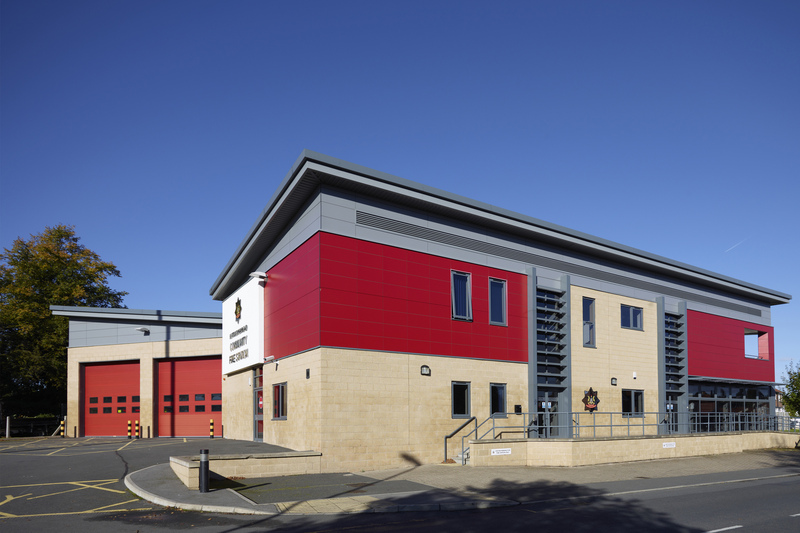 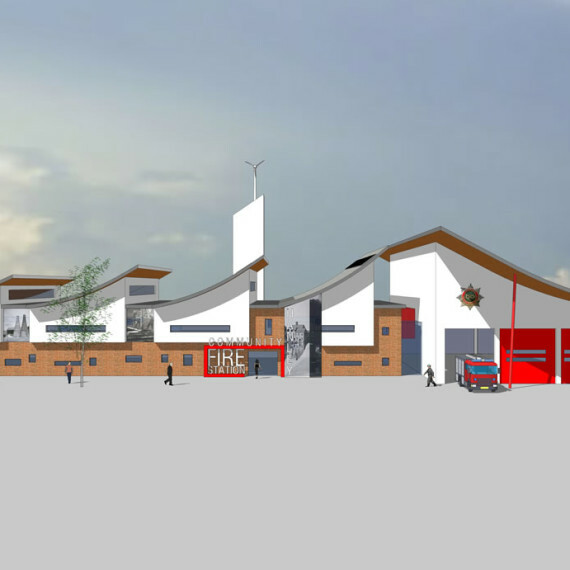 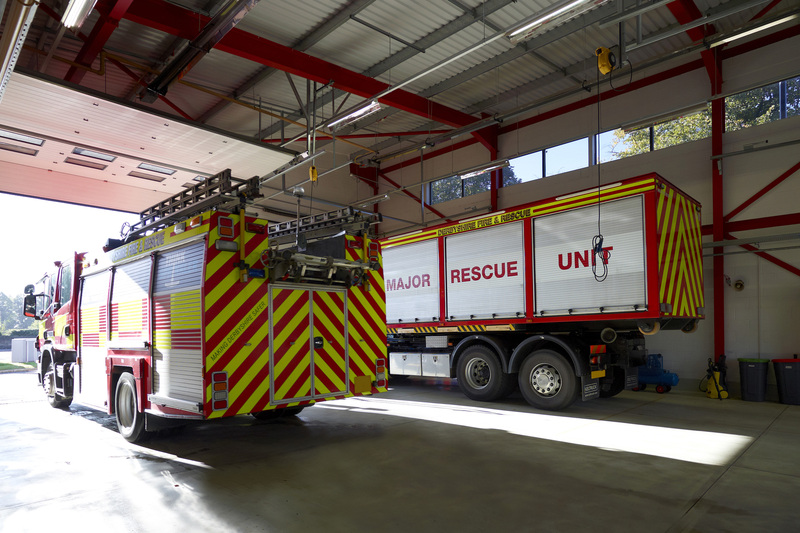 Multiple use facilities are incorporated at the interface of the fire service and community accommodation.